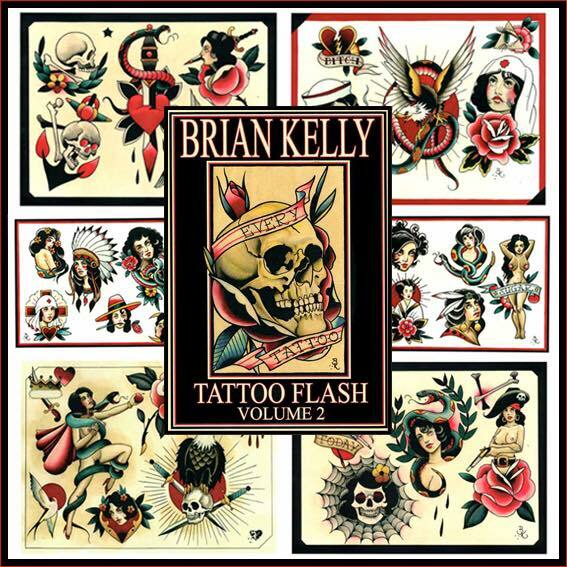 The newest collection of tattoo flash by Brian Kelly is available from Gentleman’s Tattoo Flash. 80+ pages of goodness. Click the link and buy it! A great book to travel with and a bargain at this price! Filled with skulls and daggers and snakes and roses and women. Everything a tattoo should be. Traditional or Neotraditional? Brian Kelly usually calls it New Traditional or simply tattoos. You can decide for yourself. This entry was posted in News and tagged berlin tattoo, bones, daggers, neotrad, neotraditional, new traditional, old school, skulls, snakes, tattoo flash, traditional tattoo, women.